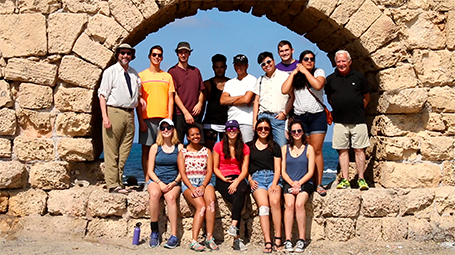 The Crown Family Center for Jewish and Israel Studies at Northwestern University is a hub for transformational undergraduate and graduate education, innovative faculty and student research, and accessible and engaging communal programming. For nearly two millennia, the Talmud has been at the center of Jewish spiritual, cultural, and social life. In his award-winning 2018 book The Talmud: A Biography, Prof. Barry Wimpfheimer explores the origins, development, and reception of the Talmud in and beyond Jewish culture. His introduction to this unlikely best-seller sheds light upon the Talmud's overlapping roles as a source of traditional teachings, a touchstone of cultural authority, and a powerful symbol of Jewishness for both supporters and critics. Co-sponsored by the Crown Family Center for Jewish and Israel Studies and the Northwestern Center for Water Research. 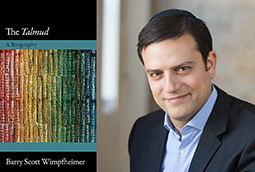 Professor Barry Wimpfheimer’s book THE TALMUD: A BIOGRAPHY has won a 2018 National Jewish Book Award! Congratulations, Barry Wimpfheimer!